Why should you feed plant-based food to your animal companion? Dogs are nutritionally omnivores and thrive on a plant-based diet. Cats, too, can be very healthy on a plant-based diet. Generations of animals on the Vegepet diet have been a testament to this (since 1986!). The argument that a vegan diet for companion animals is “not natural” is highly suspect when many are feeding beef to Chihuahuas or ocean fish to cats and confining them to indoor living. We’ve domesticated our animal companions, and very little of their formerly “natural” lives remain. Long ago, dogs began producing a digestive enzyme for digesting carbohydrates at a much higher rate than their wolf ancestors. Further, synthetic amino acids and arachidonic acid provide cats the nutrients they require from a plant-based diet. Many companion animals see medical conditions clear up when they switch to a properly supplemented plant-based diet. 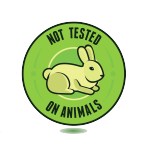 The most common allergens for dogs and cats are all animal-derived. The caretakers of companion animals on plant-based diets have reported reductions in allergy associated conditions, healthier body weights, improvements in skin and coat, overall youthfulness and increased energy, and quite possibly fewer incidences of degenerative conditions like cancer, kidney and liver disease, and arthritis. The toxic load in the body from eating at the top of the food chain is extremely alarming. Pesticides and carcinogens are stored in fat. This toxicity is exponentially magnified as animals are fed to animals. Fish that have no mechanism to detoxify their own bodies are routinely fed, as fish meal, to other fish, poultry, and livestock…and cats. Some cats on a meat-based diet have been tested to have over 30 times the Reference Dosage Limit of Mercury for humans. The best way to minimize the mercury, arsenic, cadmium, uranium, etc., in your companion animal’s diet (and your own) is to eat a plant-based diet. More than 66 BILLION land animals are slaughtered for food each year, as well as TRILLIONS of fish! Most of these animals are not being raised on a picturesque rural farm. Most live their lives, and meet their end, in ways that are indescribably cruel. In the US alone, there are 73 million dogs fed from this slaughter…dogs who could be thriving on an economical, plant-based diet. In addition to the cruelty, the environmental impact of eating a meat-based diet – for humans or companion animals – makes that diet unsustainable for the number of people and animals on the planet. In the past, all companion animals were fed home prepared food. Caretakers always knew where the food came from and its quality. Now, multinational corporations, producing billions of assembly line meals, replace the able kitchens of yesteryear. It is much safer and healthier to prepare meals for your loved ones, using foods that you trust, in your own kitchen. For many, it is worth the extra time for peace of mind, and you will find that making meals for your animals is not nearly as high maintenance as you might think. You have to be in the kitchen feeding yourself anyway. It is not difficult to cook up some oats and reconstitute some textured soy protein (TSP). Mix in the Vegepet supplement, and a few other easy ingredients, and you’re finished for days. The Vegepet supplements are a vitamin and mineral premix powder. The supplements provide nutrients lacking in home prepared meals for cats and dogs. The supplements come with our suggested recipes. Together with the recipe ingredients, the Vegepet meals supply all your animal needs to thrive. Vegepet supplements are specifically designed to add the nutrients lacking in plant-based meals, but can also be used to supplement home prepared meat-based diets which are often lacking in calcium, phosphorous, vitamin D, and other important nutrients. While cats are carnivores, their nutritional needs can be met by a properly supplemented plant-based diet. The Vegepet™ supplements for cats provide the nutrients cats require from non-animal sources, including: taurine, vitamin D2, and vitamin A. The building blocks of L-carnitine are also provided by the diet, methionine in the supplement and lysine in the recipe ingredients. Cats can synthesize L-carnitine from these building blocks. Vegecat,™ Vegecat phi,™ and Vegekit™ have been used by the compassionate caretakers of numerous cats throughout the world and over many years. As of March 2019, a source of the essential fatty acid arachidonic is needed in the Vegecat diet for adult cats. Please read about adding arachidonic acid HERE. Dogs, although members of the order Carnivora, are nutritionally omnivorous without the metabolic limitations of “true” carnivores. Achieving the proper nutrient balance isn’t easy, since their dietary requirements are quite different from people because of their role in nature as scavengers, but Compassion Circle’s Vegedog™ supplement eliminates the guesswork. The supplement provides calcium, phosphorous, taurine, methionine and other necessary additions to home prepared food. L-carnitine is not added to the supplement, but the lysine and methionine building blocks are provided by the recipe ingredients and supplement, respectively. The Vegedog™ supplement is for dogs 10-12 months and older. Vegepup is appropriate for puppies under 12-months, pregnant dogs, and lactating mamas. It is okay to feed adult dogs the Vegepup meals but it is not desirable for long periods of time. Kittens (up to 8-12 months old) and lactating cats need Vegekit™ for growth and lactation. For convenience, adult cats may be fed with Vegekit™ in those households with both kittens and adult cats. Most adult cats thrive on Vegecat™ (as opposed to Vegecat phi™). 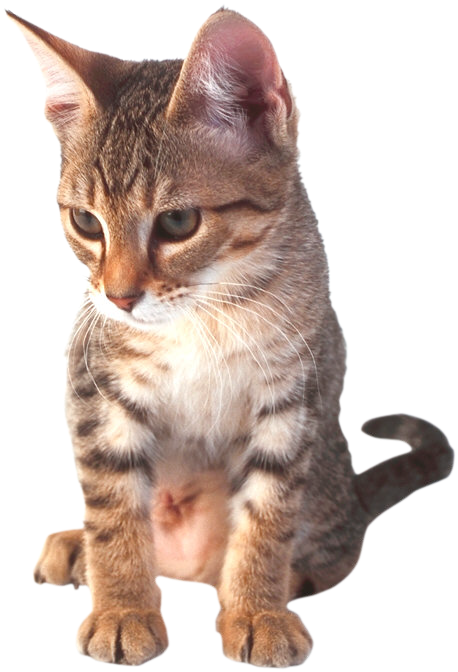 Vegecat™ is the preferred product for older cats with weaker kidneys, unless they have a known urinary issue. Cats with a history of alkaline urine or struvite stones are better served with Vegecat phi.™ Vegecat phi™ contains sodium bisulfate, a urine acidifier, to help maintain an acidic urine pH. The formation of struvite crystals is a common cause of lower urinary tract diseases in cats on any diet. The urine acidification from sodium bisulfate can dissolve existing crystals or prevent the formation of new crystals by maintaining the proper pH balance. Cats should have an acidic urine pH of 6.0 to 6.5. It is wise to test the urine at home or at a vet’s office before switching the diet and about 3-weeks after transitioning to a new diet, then periodically after – twice in the first year and once per year after. 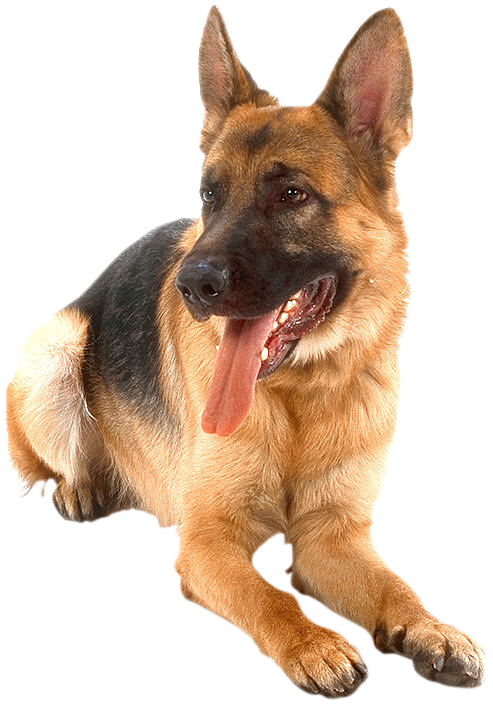 If alkaline urine is a problem, discuss adding an acid forming supplement with your vet. You can add 1 teaspoon of cranberry powder to the Vegecat™ diet per day, add 500mg of vitamin C (ascorbic acid) per day, or switch to the Vegecat phi™ supplement with a urine acidifier. 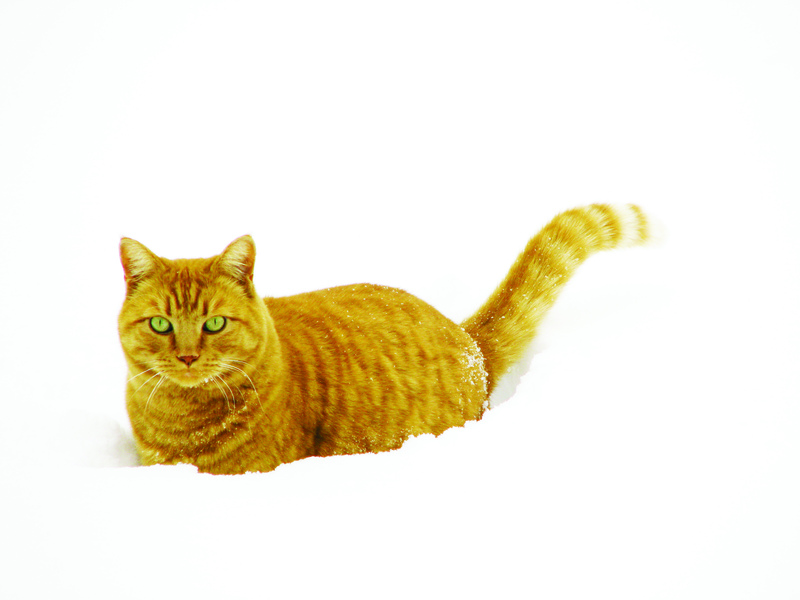 To test urine pH at home, use only a small amount of litter in the litter box. Urine can then be collected in a corner and tested with an over-the-counter pH test strip. Alternatively, a regular amount of litter in the box can be covered with plastic wrap, allowing urine to pool on the plastic and be tested. There is also non-absorbent cat litter than can be used in place of standard litter. The non-absorbent litter will allow urine to collect in the bottom of the litter box. Of course, a vet can do the urine testing as well. Test strips (intended to monitor human pH) can be purchased over-the-counter at a pharmacy. The more water and moisture in the diet, the better the urine concentration of your cat. Feeding primarily wet food recipes can prevent urinary issues. If kibble makes up the majority of a cat’s diet, it is best to add pureed vegetables or water to the kibble. For dogs, mix a small amount of the new food with the old and adjust the proportions over a period of a week. For cats, mix a small amount of the new food with the old and adjust the proportions over a few weeks. Your cat might need to begin with as little as a teaspoon of the new food in the old; then you can increase the new food gradually. If necessary, you can mix pulverized commercial kibble into kibble dough, or mix it in to the other recipes. It is important that your animal eat enough for good health. A short fast won’t hurt, but don’t let this become a battle of wills with your animal ending up as the loser. Morning is the best time for introducing new foods since appetite is keener. Serving food slightly warm brings out the flavor and is appreciated by your cat or dog. Most animals thoroughly enjoy their vegan food. Dogs rarely need enticing, but cats can be a little finicky. Some palatability enhancers for cats include: crumbled nori flakes, dried catnip, vegan sausage or mock meat (a small amount of onion or garlic is okay but do not use a mock meat with more than a flavoring), spirulina, pureed corn and nori, and canned pumpkin. Please be aware that cats can become addicted to the “digest” derived flavoring in commercial cat food. Digest is made from the entrails of chickens and flavored in various (unsavory) ways. If you are switching the diet from a commercial food, please be mindful that your cat might need to break the addiction to digest before objectively accepting the new home prepared food. Be patient and allow your cat to show you how quickly the transition can be made. Almost every process in the body requires enzymes. Digestion is no different. Digestive enzymes are produced in the body AND found in plants and raw foods. These enzymes are heat-sensitive, so cooking and processing food destroys the natural enzymes. We recommend adding plant-derived enzymes (lipase, amylase, protease, and cellulase) to any cooked or processed food. Amylase is a particularly important aid for the digestion of carbohydrates. Prozyme® Plus is available from Compassion Circle and will supply these beneficial enzymes. A little raw food doesn’t supply enough enzymes to compensate for the enzyme loss in cooked food. Digestive enzymes are especially useful when transitioning the diet. They are also especially beneficial for cats on a plant-based diet because a cat has a shorter digestive tract than omnivores. Even our animal companions eating healthy, home-prepared meals have a dilemma. Soil depletion from modern farming methods has robbed many foods of crucial micronutrients, such as minerals, vitamins, antioxidants, enzymes, and phytonutrients. Our superfood, Green Mush™, is the answer to this problem! This collection of micronutrient-rich foods can be considered nature’s own multivitamin and the ultimate superfood for your animal companion. Green Mush™ offers the body vitamins and minerals needed for ultimate health and is richly endowed with essential amino acids, antioxidants, chlorophyll, soluble and insoluble fibers, tens of thousands of phytonutrients, and much more. When Green Mush™ is given to cats on a plant-based diet, 1 teaspoon of cranberry powder per day should be added to the diet to counter the alkalinity unless the cat is using the Vegecat phi™ diet with the sodium bisulfate acidifier or the Vegecat with VegeYeast combination. Chlorella Manna™ and Spirulina Manna™ are also wonderful sources of bioavailable nutrients for your animal companion. Micro-algae, like chlorella and spirulina (also found in Green Mush™), are the most nutrient-rich foods on the planet. Dogs and cats should be given the powder forms mixed into wet food, and cats on a plant-based diet consuming green superfoods should have cranberry powder or a vitamin C supplement in the diet to prevent the urine becoming too alkaline unless they are using the Vegecat phi™ supplement or Vegecat/VegeYeast combination in the diet. Read more about Compassion Circle superfood by downloading the following whitepapers.